Forgotten Wakhumbata Ensemble Theatre (Wet), which was established by theatre maestro the late Du Chisiza Jr, is set to make a comeback next month. Wet made headlines during the times of Du, staging several productions and winning awards. 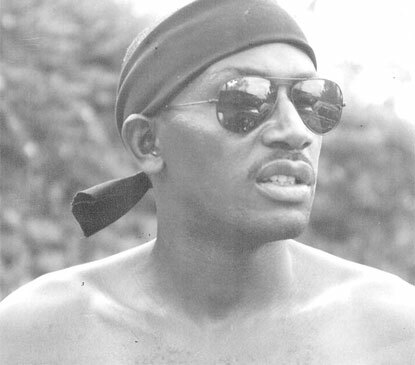 Upon Du’s death, Wet was briefly managed by theatre darling the late Gertrude Webster Kamkwatira before she later went on to form her own group Wanna Do Ensemble Theatre. Khumbo Bazuka Mhango took over the running of Wet to continue the journey Du started but nothing fruitful has come out. Having been silent for years, some quarters felt the group was dead. But Mhango has insisted that despite being out of the picture and not active, the group still exists. He said the comeback with a memorial show next month is a clear testimony that Wakhumbata still exists. “We really want to come back. We have revisited Educating Mwalimu and Educating Astrida written by Du and then we have Barbed Wire written by me,” Mhango, who is based in Mzuzu, said Monday. Mhango said they are doing all these plays Du. “Du died on February 24 1999. We managed to get a venue at Blantyre Cultural Centre formerly French Cultural Centre. This year marks 20 years since his death. We chose this venue because it was like his office. Any new production will first be performed there,” he said. Mhango said some of the actors set to star in the plays include Flora Suya, Isaac Bonongwe and Mphatso Kassamu. “Hopefully, Harvey Soko as well and of course me,” he said. The veteran actor and playwright, who starred in plays such as Papa’s Empire and Storm on Litada during Du’s time, said scripts have already been given to all actors. With drama groups struggling with funding these days, Mhango, said they do not have enough funds but have written proposals for support. There have been times Mhango and team have come out to announce their comeback only to remain silent with nothing on the ground. “We are very serious with our work and the audience should expect total professionals on our part. Our plea to them is to please patronise the events for old times’ sake. Let’s honour Du as Malawi’s theatre grandfather just like Malawi Broadcasting Corporation (MBC) did the end of last year,” he said. Mhango added: “Let this memorial show be memorable. The bigger the audience, the farther the theatrical journey of our country continues. It hurts sometimes to work so hard in putting up a production and spend so much on publicity, only to have a small audience”. The actor said the country has talent but observed that things are very expensive on the artistic side such as putting up productions. “Venues and adverts are very expensive and are killing us artists. As a result theatre has been affected. Artists have come a long way and they need support greatly,” Mhango said. “Well the news of Wet’s coming back was spread and those that were interested have communicated to us. Maybe others didn’t hear so I don’t know”. Last year, Thlupego also scripted a play What Lies Ahead which was a tribute to his father but he did not manage to take it to other areas due to financial constraints, having premiered it in Blantyre. Du wrote more than 20 plays and was involved in the writing and directing of some 25 others. Son to activist and politician Dunduzu Chisiza, many of Du’s plays had political and human rights messages. Du was a fearless writer that dared to write about controversial topics. One of his popular works include Fragments, which he produced after returning from United States of America where he pursued theatre studies. The other plays he wrote include Tatuya Futi which was a tribute to his uncle Yatuta Chisiza, Phumashakire, De Summer Blow, Sir Daniels, Operation Tidy, Kabuha Tragedy, Mitsidi Burning, Black Cross, Black Blawizo, and Democracy Boulevard.